Christine Allen is the Director of Workforce Development and Foreign Trade Zone 260 with the Lubbock Economic Development Alliance (LEDA) in Lubbock, Texas. 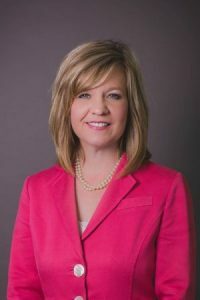 As such, she facilitates all organizational workforce development initiatives, works with community and regional partners to develop and attract talented and skilled workers to the Lubbock region, and oversees that the Foreign Trade Zone goals, missions and objectives are carried out and represented in the local community. Christine has been with LEDA for 10 years and formally served there in the role of Accountant, Director of Human Resources, and Director of Foreign Trade Zone 260. Prior to joining LEDA, Christine spent over 10 years in both workforce development and human resources management, serving as the Manager of Contracts and Quality Assurance with the WorkSource of the South Plains Board, and Human Resources Manager at Vertical Turbine Specialists, Inc.
Christine is a Licensed Customs Broker, and has over 8 years of experience in foreign-trade zone establishment, operations and compliance. She holds a Bachelor of Arts Degree in Political Science from Texas Tech University.